The IHOP is the restaurant to go to when you want to enjoy your breakfast any time of day. They are known for their buttermilk pancakes. They make so much more than just pancakes. They make some of the most creative omelets around. If someone likes bacon, this is the right breakfast treat for them. The IHOP uses one not so traditional ingredient in their omelets. They add a little pancake batter to their omelets to make them light and fluffy. If you are making this recipe in your own house, and you need to be gluten-free you can omit the pancake batter from the recipe. I think it does help if you use the pancake batter to get it just right, you can use my recipe for the buttermilk pancakes if you are making the pancakes, if not, it will work well if you use some pancake dry batter. 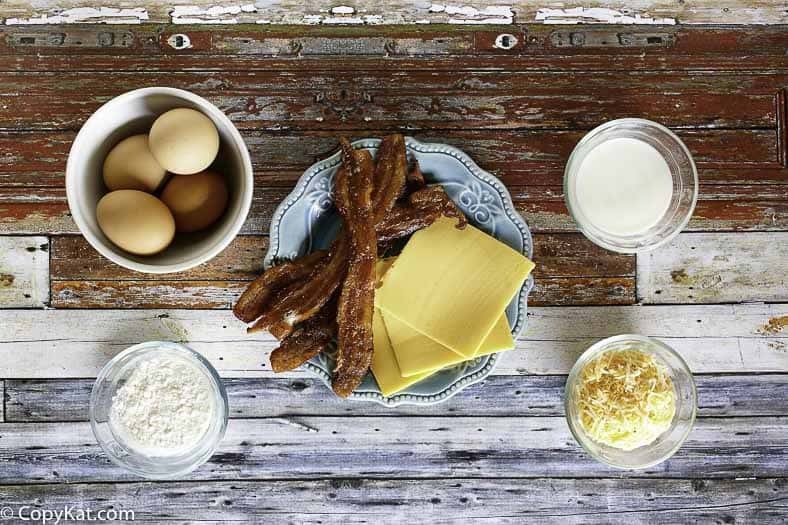 For the Ihop Bacon Temptation Omelet recipe, you will need eggs, crisp-cooked bacon, American cheese, milk, dry pancake batter, and shredded cheese. You may want to cook the bacon in the oven so you get the bacon strips in long strips. The Amercian cheese is crucial in making a perfectly smooth cheese sauce which is a critical part of this recipe. This is best made on an electric griddle if you have one at home. 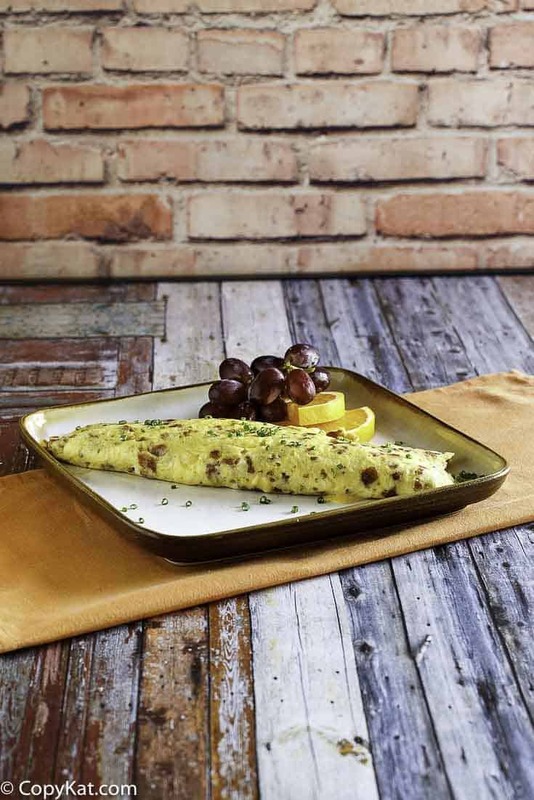 If not, you can use a large pan to prepare this omelet. No doubt about it, the bacon lovers will rejoice in your house if you prepare the Ihop Bacon Temptation Omelete This is hearty enough to enjoy for any meal of the day! You can try this omelet at home. Preheat a griddle or skillet to 350 degrees. In a small saucepan over medium heat, melt the American cheese with 1 tablespoon of the milk. Stir constantly, the cheese will melt and form a cheese sauce. When the cheese sauce forms reduce the heat as low as you can. In a medium bowl combine the eggs, bacon pieces from 4 slices of bacon, pancake batter, and the remaining 1 tablespoon of milk. Whisk vigorously until well blended. Spray the griddle with nonstick spray and pour the omelet over in a rectangular shape. As the eggs cook they will form up. When the eggs are almost done pour over half of the cheese sauce onto the eggs. Roll the omelet into a roll. Top the omelet with sprinkled cheese and remaining bacon. You can serve the omelet with the remaining cheese sauce on the side. Gosh! I’ve been craving for this since Monday. Now is the best day to make one following this recipe you’ve shared! You’re amazing! My husband loved this bacon treat! He wants more IHOP recipes. will make..we are bacon lovers.however will never use processed american cheese..maybe a good cheddar,or other real cheese.. I worked at ihop and they use white cheddar cheese sauce. We cut up actually white cheddar slices I would recommend this for an authentic taste. Sounds good but probably a day’s worth of calories. Six slices of bacon in one meal? I agree it may not be for everyone. The beauty of cooking at home is if you wanted to turn this into an egg white omelet with a sprinkling of turkey bacon, and a whiff of sprinkled cheese you could exactly that using this as a guide for the base recipe.